AUBURN, ME -- The National Collegiate Development Conference is expanding east, to Vacationland! The NCDC and the entire United States Premier Hockey League are proud to announce that the Twin City Thunder, of Auburn, Maine, will join the tuition-free NCDC in 2019-20, while also continuing to operate their USPHL Premier team. Dave Peters, who is Commissioner of the NCDC itself, is also happy to welcome Maine’s first tuition-free junior hockey organization. "We are excited to welcome the Twin City Thunder hockey organization to the NCDC,” said Peters. “The leadership of owners Dan Hodge and Ben Gray, along with Head Coach Doug Friedman, will be a tremendous addition to our league. We look forward to adding another outstanding hockey community where players can develop and have a great junior hockey experience." This move to tuition-free junior hockey was part of the original intention of the Thunder ownership, which also includes Ben Gray. “Dan Hodge and Ben Gray are proven operators and are continuing to try and grow the game of hockey in the great state of Maine,” added Gallant. 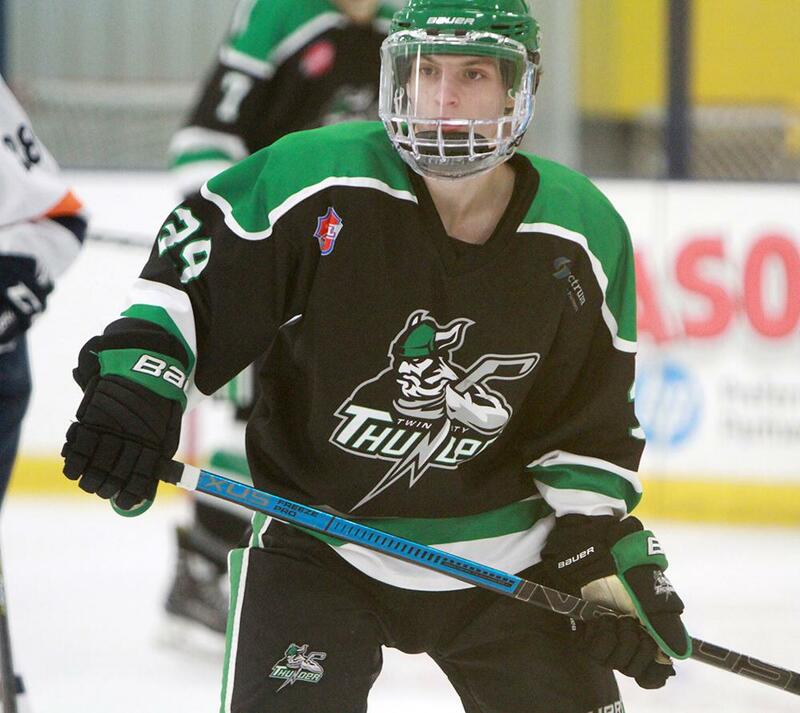 The Twin City Thunder have gotten their first taste of USPHL hockey in the Premier Division, where they are 7-9-1 and hold the toughest strength of schedule of any Premier squad. Even with this experience under their belts, Gray and Hodge know they have to up the ante in terms of skill level and recruiting for next year’s NCDC team. Their best example for them to follow is the only first-year team in the second-year NCDC, that being the New Hampshire Jr. Monarchs. “We have watched closely what the Monarchs have done this year, and what [Monarchs head coach] Ryan Frew has done,” Gray said. “They had a slow start in the NCDC, but now they’re up there in the standings with everyone else." Next year, Doug Friedman will be a first-year head coach in the NCDC, as the current Thunder coach has already been named as the coach for the new team next season. Friedman comes in with NHL and minor pro experience, as well as being a former Boston University captain (1993-94). Helping Friedman as head coach will continue to be Hodge, who is also Director of Hockey Operations and Skills Coach, and Gray, who will continue as Goalie Coach for the Thunder organization. Hockey recruiting relies on networking. Friedman has a lot of old friends in the hockey world, Hodge is a former Merrimack College and minor pro player, and a former mino pro head coach, and Gray is a former NCAA Division 3 and minor pro goaltender. Together, they will be able to tap into a lot of people across this continent and overseas who can help scout for the NCDC team. 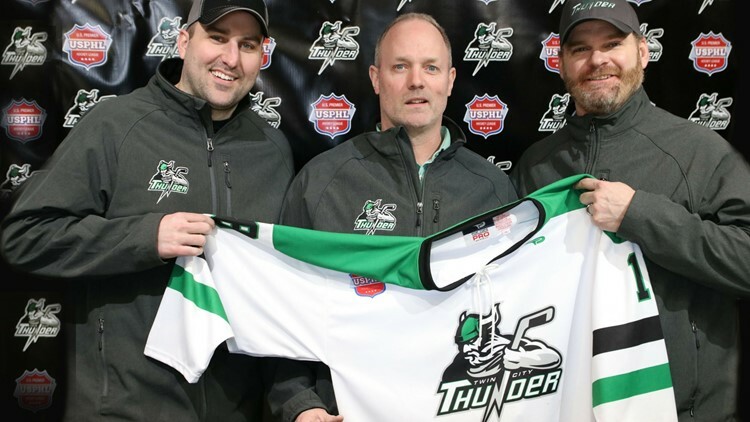 The Thunder also has a bit of a feeder system already in place - along with the Premier team, which will be in its second year next season, Gray is also owner and general manager of the Maine Moose youth and midget program. Last year, both the Moose’s 14U Bantam team and their 18U Midget team each won Tier-2 National Championships for their age groups. “Ben runs a very successful Maine Moose Midget program, and there are definitely kids there we are looking at,” added Hodge. The Thunder are also looking at hiring a new Premier team staff. 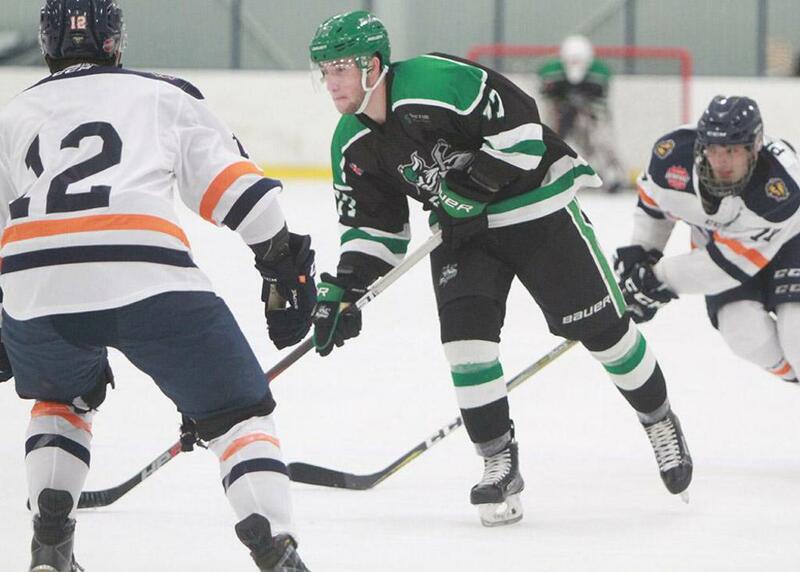 They will be looking nationwide for someone who can develop players well who can handle the tough competition in the USPHL Premier, which includes many of the top teams in Tier-3 in all of the U.S.